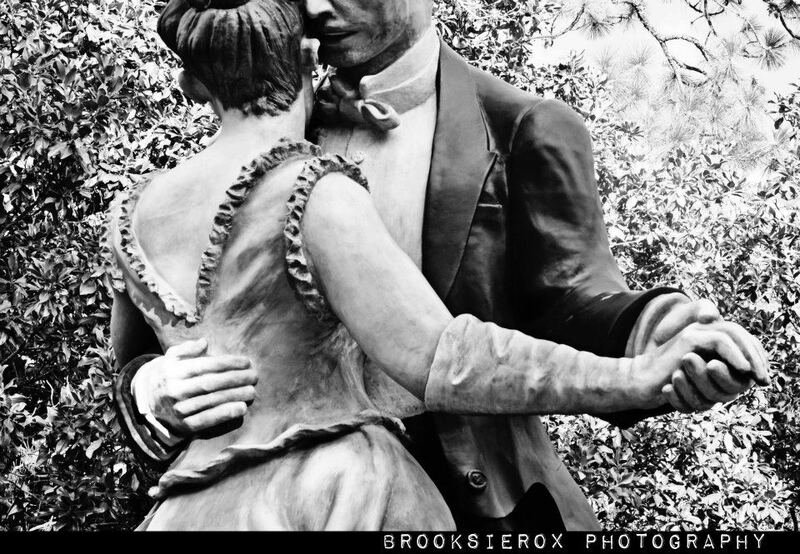 This one is named Whispering Close inspired by "Dance in the City" by Pierre Auguste Renoir for the Crossing Paths Project. 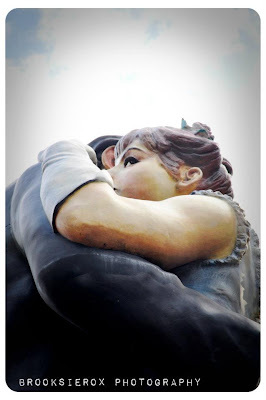 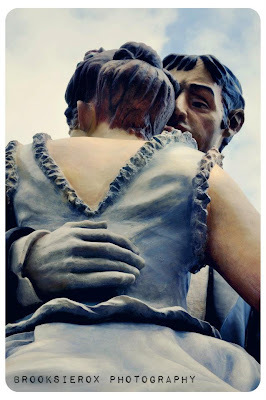 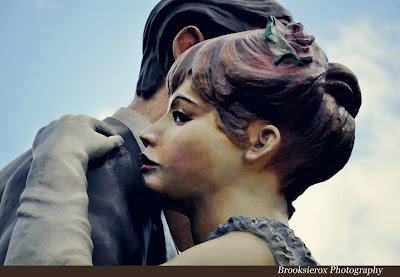 Sculpture by Seward Johnson. 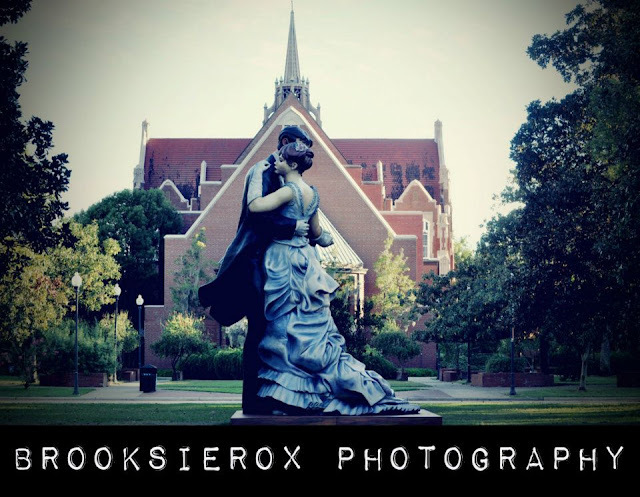 When you look at the statue from his side it looks like a sweet moment, but she just looks annoyed from her side lol. Shows you what perspective can do! I was attempting to be creative with the shots to focus more on their outstretched hands and his hand on her back. 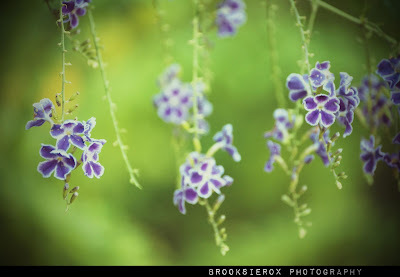 It looks so much like a painting even though this is a picture. 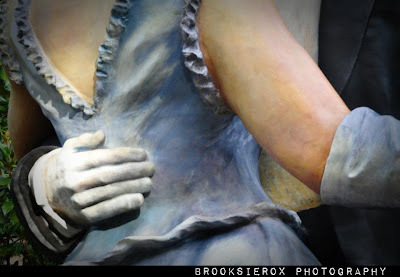 He did an awesome job on the sculptures!